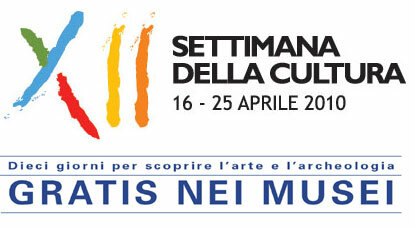 Most state-run museums and archeological sites in Italy offer free entrance during Culture Week, April 16-25, 2010, which the sharp-eyed will note, is actually 10 days long. The Settimana della Cultura is an annual event, and is typically a favorite time for school field trips, which means that sites can be crowded with kids who could care less about where they are, just as long as it is not their regular classroom. Due to volcanic ash, many flights have been cancelled, so if you are already in Italy, you will enjoy free museums with far less crowds than normal. In addition, there are sites not normally open to the public that can be visited on specific days during Culture Week.